The BC Lions made a big splash on the first day of free agency. GM Ed Hervey has landed one of the biggest fish available, signing Mike Reilly to a four-year, $2.9 million contract. It’s arguably the most impactful free agent signing in franchise history. 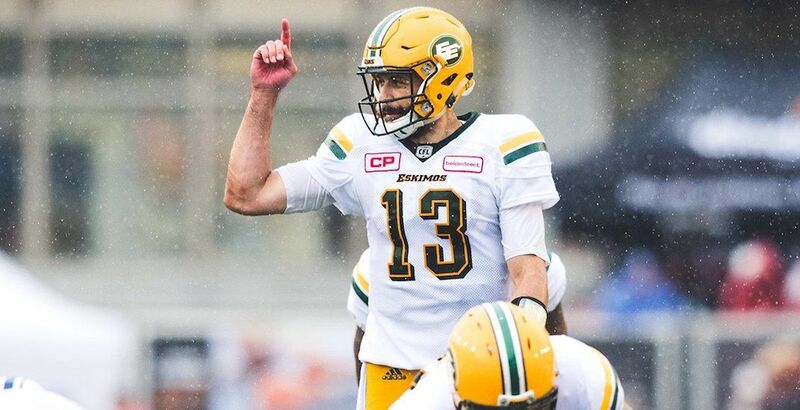 The league’s Most Outstanding Player in 2017, Reilly led the CFL in passing in 2018, completing 418 of 621 passes for 5,562 yards and 30 touchdowns. Reilly, 34, is no stranger to BC, having played for the Lions in a backup role from 2010 to 2013. He’s also familiar with Hervey from their days together in Edmonton. The move solidifies the quarterback position for the Lions for the first time in years. Jonathon Jennings and Travis Lulay remain free agents. Jennings will surely head elsewhere, while Lulay – who was a groomsman at Reilly’s wedding – could still return. Reilly threw for almost 27,000 yards and 144 touchdowns over six seasons in Edmonton, leading the Eskimos to a Grey Cup in 2015. The veteran QB is one of just three quarterbacks in league history to throw for 5,000 yards in three consecutive seasons and sits 18th all-time among quarterbacks with 27,625 passing yards. Expect Hervey to remain busy in free agency, as the Lions are connected to a number of reported signings, including wide receivers Duron Carter and LeMar Durant, defensive back Aaron Grymes, and offensive lineman Sukh Chungh.